This workshop is appropriate for people who have completed the fullBusiness Grammar Essentials course and who want to reinforce and review key concepts. The workshop is also appropriate for good writers who have not had the full grammar course but who want to strengthen their grammar skills. Participants are expected to have basic grammar and spelling skills. The instructional methods and content are designed for optimum ease of learning. Instruction is strongly reinforced with workbook content, review, and practices. Emphasis is on concept retention and application to your documents. 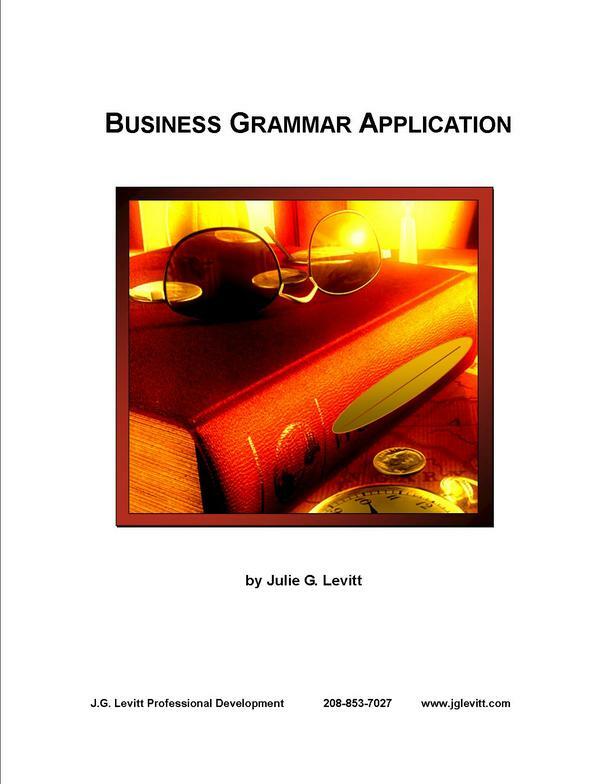 Business Grammar Application, by Julie Levitt, is provided for each course participant. This collection of easy tools to improve business grammar effectiveness is both a learning tool and an efficient reference for future use. The book reflects current business trends and standards.